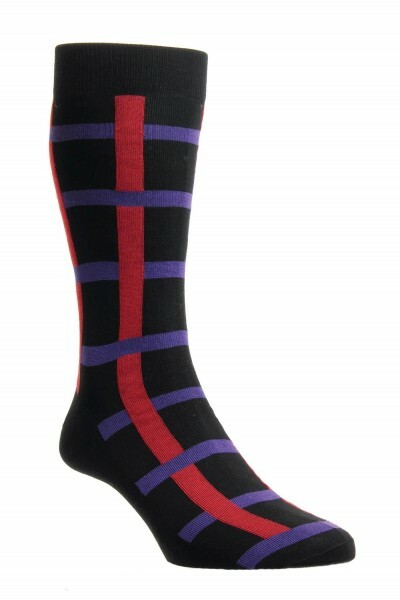 A classic black sock with a contemporary red and purple check. Designed with seamless toes providing a pleasurable and comfortable wearing experience. 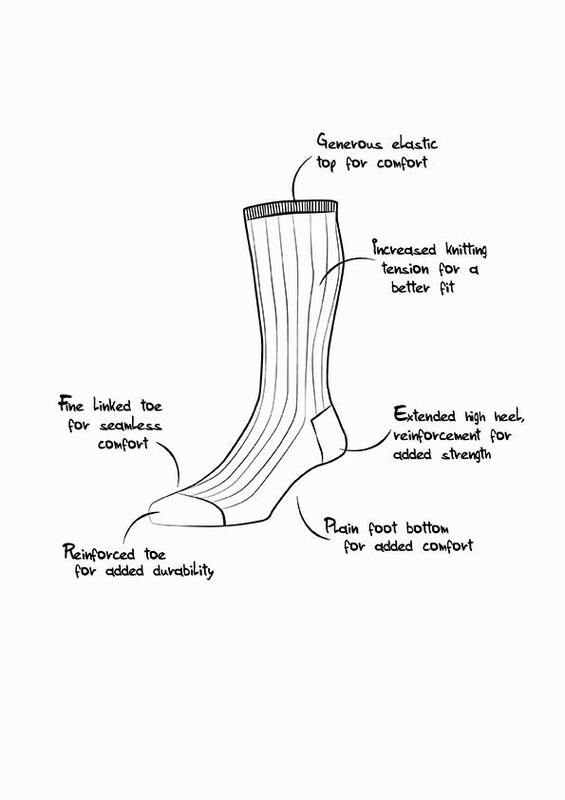 The compact spun cotton means there won't be any pilling so you can rely on these socks to be durable and a great asset to your sock collection.